I loved this imaginative book, full of wonderful characters. It is such a fun read. A lovely and hopeful story. I really enjoyed hearing this story read aloud. I had read the story myself years ago, but this was a real treat. In fact I listened to the last 5 minutes sitting in the grocery store parking lot😉😉. A delightful journey along the edges of Faery. J.R.R. Tolkien is best known for his epic masterpiece, The Lord of the Rings, and the children's book, The Hobbit, with which it begins. But his shorter works are delightful and Smith of Wootton Major is a little gem. Don't miss it! 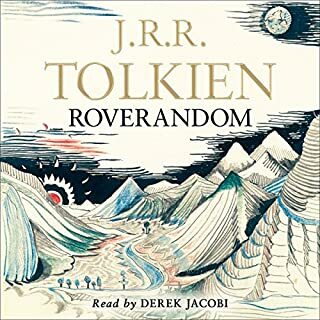 Tolkien creates something wonderful here, a story truly worth reading. It is a story that lodges itself in the soul, long after it has been read. 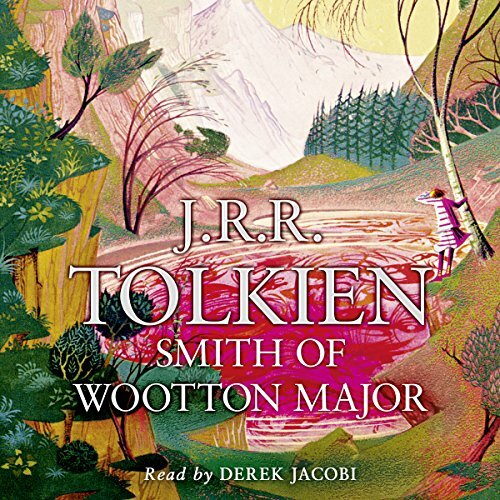 Would you listen to Smith of Wootton Major again? Why? Sure. I don't have any kids at this time, but if I did this is one of those stories that would be great to share with them while getting ready for bed. What was one of the most memorable moments of Smith of Wootton Major? With a story this short, I wouldn't say that it is developed enough to really separate and say that there is a certain section that I can't wait to get to. 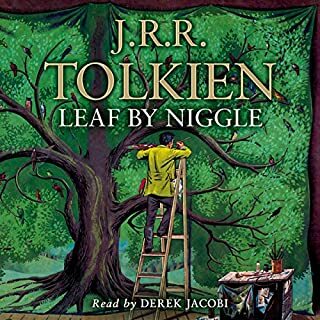 However, being so short it is one of those stories that is still able to flesh out good characters and be a simple, enjoyable listen. I think Derek Jacobi does a great job at treating this as a great story for children and as such treats it in a way that would be enjoyable to them. J. R. R. Tolkien. .. More than just an epic fantasy novelist! This may not be for all people. It is not your typical adventure story. Probably something more along the lines of a subdued adventure story. JRRT has created such wonder in his stories. this one is a good one read masterfully. Perfect short story. 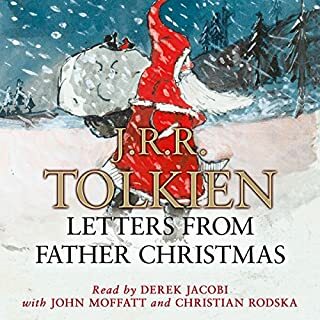 Well-read by Derek Jacobi and a pleasure to listen to. Well worth the buy. This is a quirky but sweet tale. A delightful fairy tale. I only wish it had been longer. 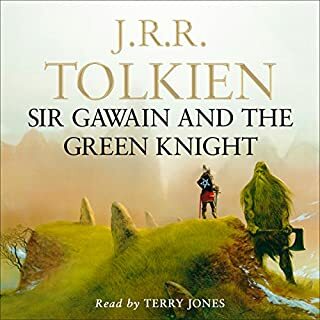 This was a delight to listen to via Audio Book. The story and journey seem simple for such a short story, but there's so much more to it than that. I've no intention to trivialize or diminish this brilliant work, but it was simply wonderful to listen to. 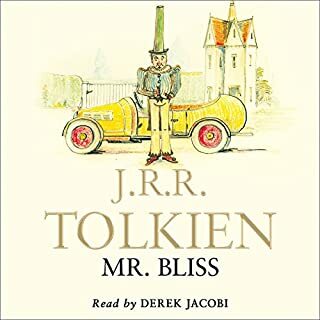 This was narrated by the magnificent Derek Jacobi. Two thumbs up! I can't help but express what a joy it was to listen to this, as J.R.R. Tolkien was such a literary genius. 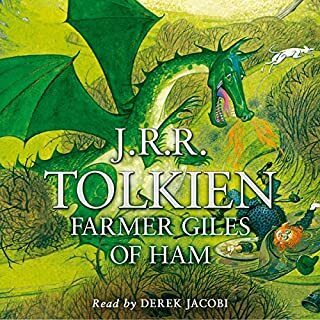 Quite possibly my favourite Tolkien story (besides The Lord Of The Rings and The Hobbit of course). This is an odd story, yet I find that I like it. Jacobi performs well. However, I much prefer the actual physical book with its mysterious illustrations.